Despite improvement in the medical technologies for the treatment of hemophilia, health experts believe that nearly 80 percent of Indians with the serious blood disorder are not diagnosed due to the absence of proper diagnostic facilities in the remote areas. India with nearly two lakh cases is estimated to have the second highest number of patients with hemophilia, a lifelong bleeding disorder that prevents blood from clotting, doctors said ahead of the World Hemophilia day on April 17. According to Hemophilia Foundation of India, the umbrella body for registration of the patient with the disorder, the cause of hemophilia is the inability of the body to produce the anti-hemophilic factor (AHF) in the required quantity. There is no known cure for this disorder. If not diagnosed early, the repeated bleeding into joints, bones muscles may lead to synovitis, arthritis and permanent joint deformities. The bleeding itself can lead to wasting and atrophy of muscles. In a case study from New Delhi-based Sir Ganga Ram Hospital, Nasir Khan, a painter by profession, got to know about hemophilia when his three year-old son hurt himself and started bleeding profusely 10 years ago. However, he ignored his condition that over the years became severe and caused a permanent joint disability. Dr Ruby Reshi, head of Pathology department at Government Medical College Srinagar in Jammu and Kashmir, said India is fast progressing in the field of hemophilia treatment but the core problem is of diagnosis. “With only 20,000 registered patients for hemophilia in the country, there is a huge gap as the total number of people with the genetic disorder is not less than 2,00,000. “There is a need for diagnostic centres that can help first of all in diagnosis and later make people aware about the seriousness of the health disorder,” Reshi told. “Currently only about 20,000 patients are registered with Hemophilia Federation of India while over 1.5 lakh are still not brought under the registry until diagnosed. Over 80 percent are undiagnosed. This needs to be bridged,” said Dr Nita Radhakrishnan, assistant professor at Noida-based Super Speciality Pediatric Hospital Doctors said, though the government has done enough under the National Health Mission for hemophilia, proper diagnostic centres have not come up in remote belts of the country. Hemophilia is usually inherited and about one in every 5,000 males is born with the disorder. It cannot be caught or transmitted except through inheritance but can sometimes occur when there is no family history of Hemophilia. About one third of new cases are caused by a new mutation of the gene in the mother or the child. In these cases, there is no previous history of hemophilia in the family. Women who have the hemophilia gene are called carriers, and they can pass it on to their children. 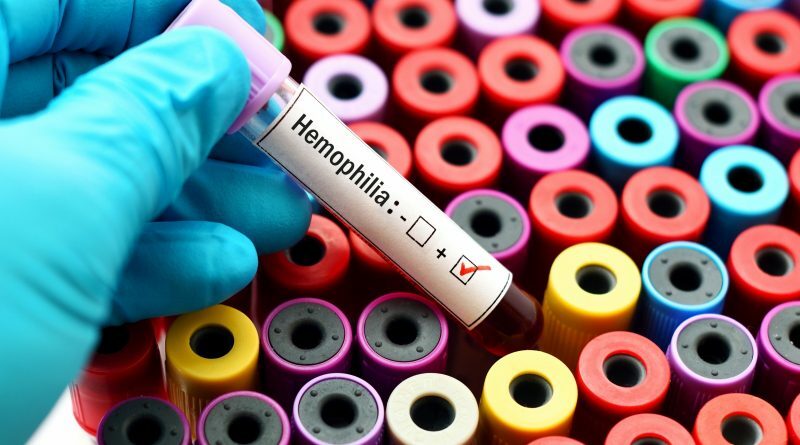 Dr Rajesh Kashyap, associate professor Hematology department at Sanjay Gandhi Postgraduate Institute of Medical Sciences in Lucknow, UP, said that only expanding the net of diagnostic labs in the districts of the country can solve the problem of hemophilia. “Until the diagnostic net is expanded neither hemophilia nor gravity of the problem can be known,” Kashyap told. Stating the tests for diagnosing Hemophilia are not expensive and can be done at district hospitals, Kashyap explained that there are two types of tests – Activated Partial Thromboplastin Time (APTT) Test and Prothrombin Time (PT) Test. “The PT and APTT screenings are blood tests that show if the blood is clotting properly. Currently the only challenge is about screening which has a huge gap in the rural parts of India,” he said. Radhakrishnan said that treatment of hemophilia has undergone a lot of change in the last one decade.”Earlier there was a situation when the patient went without medicines and would go for physiotherapy and other treatments as remedies. “Today, though every state has been doing well in terms of ensuring treatment for the patients with hemophilia the major challenge remains diagnosis,” Radhakrishnan said.